helpfull in solving many casino math problems. 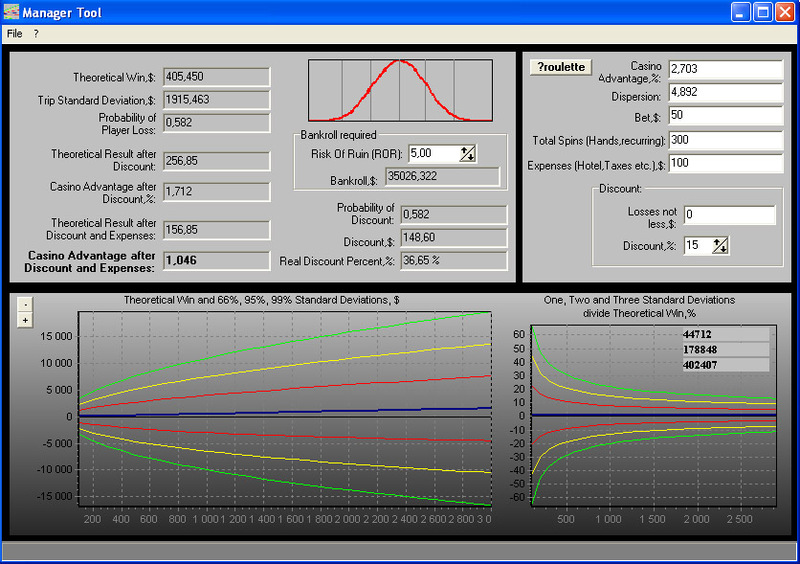 Calculate the probability of discount give out and its average size (for a specified number of hands played). Calculate the necessary money amount for a game-specific rates. Calculate the Theoretical Gain and Trip Standard Dediation(TSD). Сalculate other casino expense to player such as bar, lottery, bonuses etc. Сalculate a real mathematical expectation for given conditions of the game after discount and casino expenses. Calculate the «breakeven point» with probabilities of 66, 95, 99% (Is measured in a number of hands).